My dad had the privilege to baptise his grandson. Put on the brakes and back up the train!!! Didn’t I tell you, we are saved by grace through faith? Yes, I did! So why are we reading, “He saved us through the washing of rebirth and renewal by the Holy Spirit”? Let’s dig on in and find out. When we accept our free gift of salvation a few things happened at that moment simultaneously. Just as we have the Trinity (God the Father, God the Son and God the Holy Spirit), we see our salvation through the Trinity. That brings us to the Believer’s Baptism. 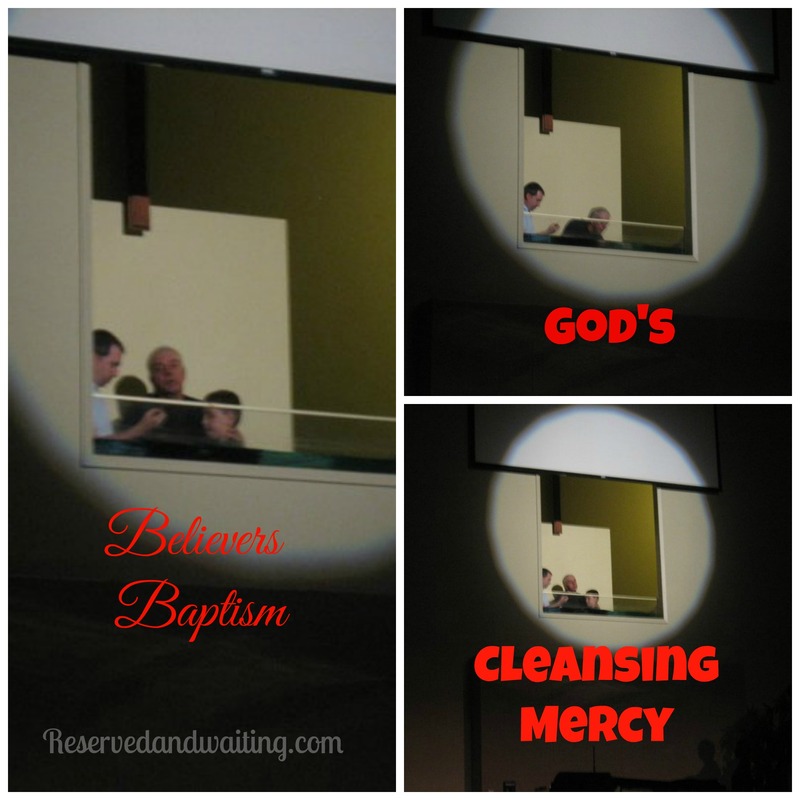 Getting baptised does not save you. Without accepting God’s gift of salvation through faith, when you go down as a sinner and you are raised up still a sinner. In this verse it starts out “He saved us”. This is His grace (our free gift THROUGH faith). Then we have, “because of His mercy”; this is the how come He saved us, THROUGH the washing of rebirth and renewal by the Holy Spirit. The word mercy is used because of His love for us. When you accept God’s gift of salvation, the next step is to participate in the believer’s baptism. Representing that when we go down as a sinner, we are raised in Christ. Announcing to the world your decision, that there has been a change in your life and following in obedience to God. You are saying, You are now a child of God and you want everyone to know. The best day of my life was the day I accepted my gift of salvation. I am so thankful for my salvation. The next best day of my life was the day(other than his birth) my son accepted his gift of salvation. Above is a pictures of his baptism, (there were no photos taken of mine) our church allowed my dad (an Ordained South Baptist Minister) the privilege of baptizing his grandson. A day I know my mom looked down on us from heaven and rejoiced.